Are you feeling the pressure….? Hi, it’s Checkers…. we’ve been in a frenzy over here. We’re helping HH get ready for the two-day Meet the Authors Book Fair. It’s next weekend and she’s just about ready. We just have a couple more things to do…. It’s gonna be a great event. Fifty Florida authors will be there with their books and who knows what else. If you’re in the Melbourne area, stop by. It’s gonna all happen in the Eau Gallie Civic Center on November 21 and 22, 2015, in Melbourne, Florida, in conjunction with the ArtWorks Eau Gallie Fine Arts Festival… It’s each day from 9:30AM to 4:30PM. Don’t miss it!!! We (meaning me, Bugsy and Knuckles) …. of course…. will not be there. Something about wreaking havoc on the place…. But, we will be thinking good thoughts for HH to sell lots of books so we can buy treats for the boys and cheese for me. 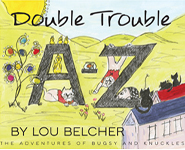 This entry was posted in The Boys and tagged bugsy, cat, checkers, humor, Knuckles, Lou Belcher, whimsy, writing. Bookmark the permalink. 6 Responses to Are you feeling the pressure….? Tell HH good luck at the book fair! Good luck on the book fair. Nice selfie, Bugsy! We hope all goes well with the book fair! I wish I could go it sounds like a great event. Good luck to HH at the Book Fair!